Director of Quaker House, Fayetteville-Ft. Bragg, North Carolina 2001-2012. Since retirement, he has lived in Durham NC. Chuck Fager was born in Kansas in 1942. The oldest of eleven children, he was raised in a Catholic, military family on Air Force bases, principally in California, Puerto Rico and Wyoming. After nearly enrolling in the U.S. Air Force Academy, he attended Colorado State University, where he won medals in Air Force ROTC. He later left the ROTC program, and completed a B.A. in humanities in 1967. In the late fall of 1965, Chuck applied for classification as a Conscientious Objector to the draft, as a non-religious pacifist. Given his military background, he was surprised when the request was granted. About the same time Chuck met some students and staff from Friends World College (FWC), a experimental Quaker college just starting in New York. He was soon hired as a junior faculty member, which took him in early 1966 to Westbury, New York, where the college was then located. It was here that Chuck was initially exposed to Quakerism, and became a “convinced Friend.” During his time at FWC, Chuck’s first book, White Reflections on Black Power, was published. Leaving FWC in midsummer, 1967, Chuck lived in New York City for almost a year, then moved to Cambridge, Massachusetts to enroll at Harvard Divinity School (HDS). He attended HDS part-time for almost four years, migrating steadily away from academia toward work in writing and reporting. In 1969 he joined the Friends Meeting at Cambridge. By late 1970, he was writing essentially full-time, principally for what were known then as “alternative” newspapers. He was also active in numerous peaceful antiwar protests, submitting to arrest twice. 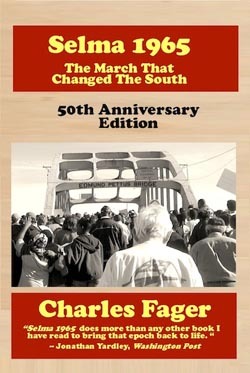 In these years he published two more books, Uncertain Resurrection: The Poor Peoples Washington Campaign, and Selma 1965: The March That Changed the South. After seven years in the Cambridge area, Chuck crossed the continent to San Francisco in late 1975. There he continued to write for “alternative papers,” and began work on some fictional projects as well. In the fall of 1977, Chuck returned east, to the Washington, D.C. area. There he freelanced until late 1985, except for a period of about two and a half years when he worked as a congressional staffer, primarily for then-Rep. Paul N. “Pete” McCloskey, Jr. of California. During this time he also launched Kimo Press, a small publishing operation, A Friendly Letter, an independent monthly Quaker newsletter, and transferred his membership in Friends to Langley Hill Friends Meeting in McLean, Virginia. In the summer of 1994, Chuck accepted a position at Pendle Hill, a Quaker center for study and contemplation near Philadelphia. Chuck directed the Pendle Hill Issues Program for three years, overseeing conferences and publications on issues important to Friends. (You can see some examples of this work at: http://www.pendlehill.org and in the partial Bibliography below.) 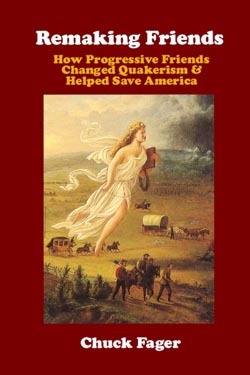 During this time he also published a book, Without Apology: The Heroes, the Heritage and the Hope of Liberal Quakerism, and was appointed Clerk of the Fellowship of Quakers in the Arts (FQA), an international network. In late 1997, Chuck left Pendle Hill and headed to Central Pennsylvania, where he continued writing, editing and publishing, and taught several courses at nearby Penn State University. A continuing focus of his study and publications since this time has been the history and evolution of liberal Quakerism in America, particularly its theological evolution. In 1999 he established Quaker Theology, a semi-annual journal which is available both in print and online. Chuck edits the journal with Friend Stephen Angell. In 1998, he and the Fellowship of Quakers in the Arts created the Lemonade Art Gallery at the Friends General Conference annual Gathering. Chuck served as Curator of the Lemonade Gallery, which became a part of the Gathering program for many years, through 2002. During this period he was also Clerk of the Planning Committee for the 2001 Quaker Peace Roundtable, hosted by State College (PA) Friends Meeting. In addition he was part of the working group that planned the 2003 North American Quaker Peace Conference at Guilford College. 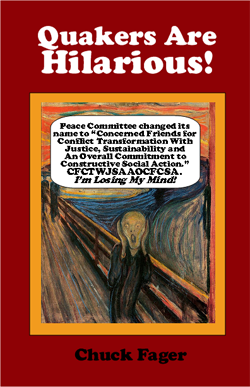 Following the onset of the terror war of September 2001, Chuck, like many others, reassessed his situation in light of the Quaker Peace Testimony. 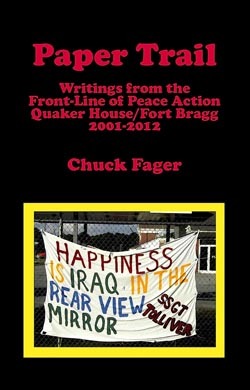 To aid his own and others’ reflection on this turn of events, he established the Quaker Peace Web Page and later published an essay, A Quaker Declaration of War. At the beginning of 2002, he moved to Fayetteville, North Carolina, to become director of Quaker House, which has been a front-line Friends peace witness project near Fort Bragg, one of the largest US military bases, since 1969. 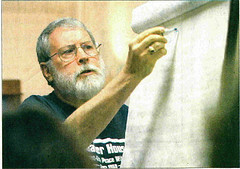 At Quaker House, besides organizing numerous peace vigils, rallies, and related events, Chuck led Quaker House in planning conferences, one to mark the fiftieth anniversary of President Eisenhower’s “Military Industrial Complex” speech in 1961; others taking on U.S. use of torture; and more. Quaker House was also active in publishing reports and pamphlets during his tenure. Since his “retirement” in late 2013, Chuck has concentrated on writing projects. During the 2013-2014 academic year, he was the Cadbury Research Scholar at Pendle Hill, a Quaker study center in Pennsylvania. Two pioneering books of Quaker history came out of that year, “Angels of Progress” and “Remaking Friends,” which told the long-forgotten story of Progressive Friends, the vanguard of modernist Quakerism. As of autumn 2014, he had published four more books, and was at work on more. In the spring of 2013, Chuck joined with many other Carolinians in the “Moral Monday” protests of restrictive and oppressive legislation passed by a new state government, aimed at the poor, minority voters, and favoring the wealthy. As part of this campaign, he was arrested in July 2013 as part of a peaceful protest of new voter suppression laws at the NC state legislature. It was his sixth arrest, and was a lived parallel to the beginning of his activist “career” almost 50 years earlier. The charges were finally dismissed in October 2014. Chuck has been married and divorced twice. He has four adult children, three daughters and a son, and several grandchildren. Many of his stories were written for them. Selma 1965: The March That Changed the South. 1974, Charles Scribner’s Sons, 250 pages. (Out of print) Second edition, Beacon Press, 1985. Fortieth Anniversary Edition, Kimo Press, 2005. Fiftieth Anniversary Edition, Kimo Press, 2015. A Respondent Spark: the Basics of Bible Study. 1984, Kimo Press. 105 pages. Second Printing, 1994. A Man Who Made a Difference: The Life of David H. Scull. 1985, Langley Hill Friends Meeting, 213 pages. Quakers Are Funny. 1987, Kimo Press, 102 pages. Quaker Service at the Crossroads, Editor. (Seventeen essays on the American Friends Service Committee and its relationship to the Religious Society of Friends.) 1988, Kimo Press, 216 pages. Reclaiming a Resource: Papers from the Friends Bible Conference, 1989. Editor. 1990, Kimo Press, 278 pages. Wisdom and Your Spiritual Journey: A Study of Wisdom in the Biblical and Quaker Traditions. 1993, Kimo Press, 93 pages. New Voices, New Light: Papers from the Quaker Theology Roundtable, 1995. Editor. 1995, Pendle Hill Issues Program, 214 pages. A Continuing Journey: papers from the Quaker Peace Roundtable, 1995. Editor.1996, Pendle Hill Issues Program, 160 pages. The Bible, the Church & The Future of Friends: Papers from a Consultation at Pendle Hill, 1996. Pendle Hill Issues Program, 1996, 200 pages. Sustaining Peace Witness in the Twenty-First Century. Papers from the Quaker Peace Roundtable, 1997. Editor. 1997, Pendle Hill Issues Program, 300 pages. Without Apology; the Heroes, the Heritage and the Hope of Liberal Quakerism. Kimo Press, 1996. Tenth Anniversary Edition, Kimo PRESS, 2006. The Best of Friends, Volume One. A Collection of Recent Quaker Writing. Editor. Essays, short stories, poetry, and line drawings. Kimo Press & the Fellowship of Quakers in the Arts. 1998, 241 pages. Friends and the Vietnam War: Papers and Presentations from a Gathering for Recollection, Reappraisal and Looking Ahead. Editor. 1998, Pendle Hill, 365 pages. Friends in Civilian Public Service: Quaker Conscientious Objectors in World War II Look back and Look Ahead. Editor. 1998, Pendle Hill, 350 pages. The Harlot’s Bible & Other Quaker Essays. 2002. 175 pages. Shaggy Locks & Birkenstocks: Essays on Liberal Quaker History & Theology. Kimo Press 2003. 120 pages. A Quaker Declaration of War. 2003. Kimo Press, 75 pages. 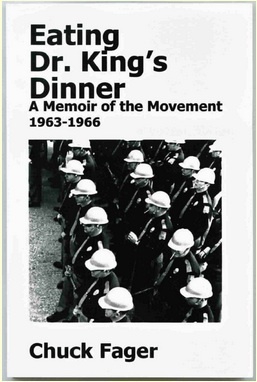 Eating Dr. King’s Dinner: a Memoir of the Movement. Kimo Press, 2005, 160 pages. Paper Trail, Writings from the Years at Quaker House. 2013, Kimo Press. Quakers Are Hilarious: A Collection of Quaker Humor, 2013, Kimo Press. Angels of Progress: A Documentary History of Progressive Friends. Kimo Press, 2014. Remaking Friends: How Progressive Friends Changed Quakerism and Helped Save America. Kimo Press, 2014. Murder Among Friends, A Quaker Mystery 1993, Kimo Press, 201 pages. Un-Friendly Persuasion, A Quaker Mystery 1995, Kimo Press, 177 pages. Why God Is Like a Wet Bar of Soap: Fourteen Quaker Stories. 2003. 180 pages. The Magic Quilts: A Fantasy. 1981, Kimo Press, 90 pages; illustrations. Second edition, 1989. Life, Death and Two Chickens, Stories for Children, Stories from Childhood. 1989, Kimo Press, 133 pages. Why God Is LIke A Wet Bar of Soap, Fourteen Quaker Stories. 2003, Kimo Press, 191 pages. Fire in the Valley, Six Quaker Ghost Stories. 1992, Kimo Press, 86 pages. 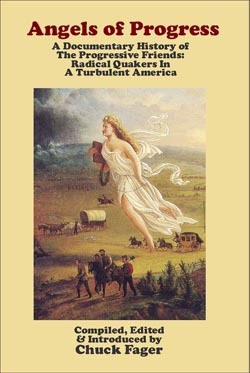 The “realignment” controversy; conflicts among Friends over sexual issues, including homosexuality and pedophilia; Quaker humor and highlights of Quaker history; annual nominations of “Quakers of the Year”; concerns about the AFSC and Friends; trends in Quaker theology, from fundamentalism to witchcraft; Friends’ peace witness during the Gulf War; and many more.